You must make reservations at least 5 minutes in advance of the time at The Cloak. "Tell Your Friends" is our Saturday night vibes featuring anything from funk & soul to disco & house - tell your friends! "Let's Scotch About It" on Sundays with $10 for an ounce of any scotch on our extensive backbar! Send an email to events@marbenrestaurant.com if there's something special you had in mind! Best hidden gem in the city! Excellent decor, ambiance and atmosphere. Some groups were louder than others but otherwise it was a perfect date spot. I’ve been going to the cloak for a while. One of my favorite spots. Our waiter today was excellent. Didn’t have any food so can’t comment but came here for drinks with a first date which I wrote on the comments when I made the reservations. Told them to check in on us frequently (me specifically since I may have wanted to cut the date short) but the bartenders weren’t attentive. They also ended up charging us for an extra drink that we didn’t even drink. My date noticed it on the bill when he got home. Basically two bartenders made the same drink but I only re- ordered one and even told the one bartender I already got my drink when he brought over the drink. He didn’t delete the order though. Not cool. To top it off, it wasn’t even busy. Not sure I would return since they didn’t seem to care about the patron or were not attentive. Awesome place! Loved the “secret” vibe and the overall atmosphere. 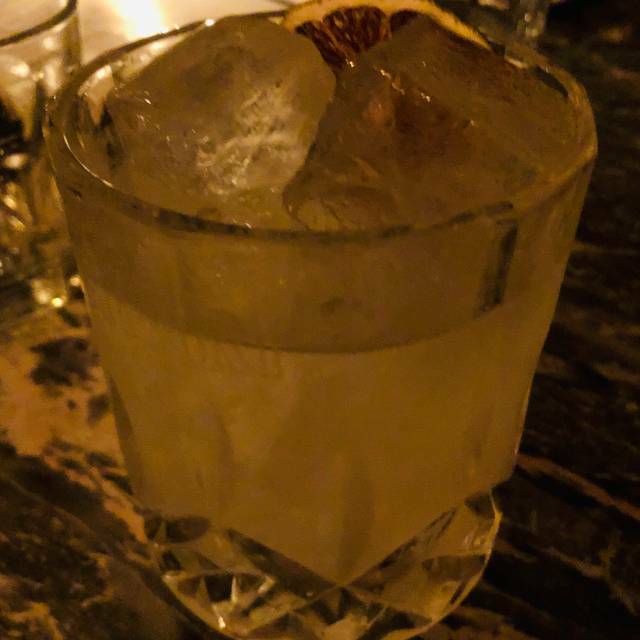 The cocktails recommended by the bartender were some of the best I’ve had, and the sticky toffee pudding was absolutely to die for. Would come back in a heart beat! What a great spot! I came here around 10pm on a Saturday night for after dinner drinks. The drinks were amazing, service fantastic. I loved the ambiance as well. A few reviews mentioned that it was really noisy, but I was able to have a conversation with my partner and hear him just fine. The place was super easy to find as well, but you do have to call to get let in - a little annoying for me as it was raining outside, but the hostess let us in rather quickly. Would definitely recommend if you're in town! We really had a good time, this is a cool place. The 18-19 year old barstaff should go easy on the pretentiousness though - newsflash: most of your customers will know a lot more about food and alcohol than you and will be super bored by your efforts to enthrall us with seriously superficial knowledge. The music level was perfect! The mood was perfect! I love this place! Only comment is that the food portions were a bit small for the price. Especially the vegetarian items. Overall great experience with a very unique entrance. Loudest speakeasy ever. It's like being at a frat party. My drink was great and the space is gorgeous, but all ambience is killed by the crowd. Plus there were two bartenders mixing drinks and yet mine took approximately 20 minutes. If I was wasn't covering my ears from the din of the surrounding hammered-pretty-people squealing, that might be ok.
Amazing in all ways possible. I want to return soon. Not a negative thing to say about this place. Wonderful concept, brilliant bar staff and an excellent atmosphere. You won’t be disappointed. Making your door hard to find doesn't make you a speakeasy, especially when the name and number is on the door. Overall a great experience, fantastic drinks! Very attentive service and personable. A must try for people in Toronto! We actually ate upstairs but it was remarkable as always! The girl from downstairs popped up to tell us our table was ready which was so awesome. Drinks, service, ambiance was spectacular. My friends visiting from out of town we very happy by their dining and cocktail experience! Great place. Weirdly, our waiter seemed to disappear after taking our first order (we later saw him put his coat on and leave) which did seem to make the service a bit slower. Overall, great place and fun time. We thoroughly enjoyed our experience on Friday night! Value was great, cocktails delicious (unfortunately not very strong) and the food was decent. The best part was when the bartender reminded a couple of guys who tried to talk to us of the bar’s policy. We weren’t disturbed for the rest of the night. Amazing service! We loved the staff, and the drinks were delicious. I also just loved the quiet ambiance here. We were very excited to try The Cloak and it didn't disappoint. The entrance was discreet, but once inside, it was classy, yet cozy. The service was beyond impeccable, even if some of our later rounds took a while to arrive. The food we sampled was as on point as the cocktails...The Cloak was merely our starting point for the evening, but easily could have stayed the whole night. The Cloak Bar was such a great find! 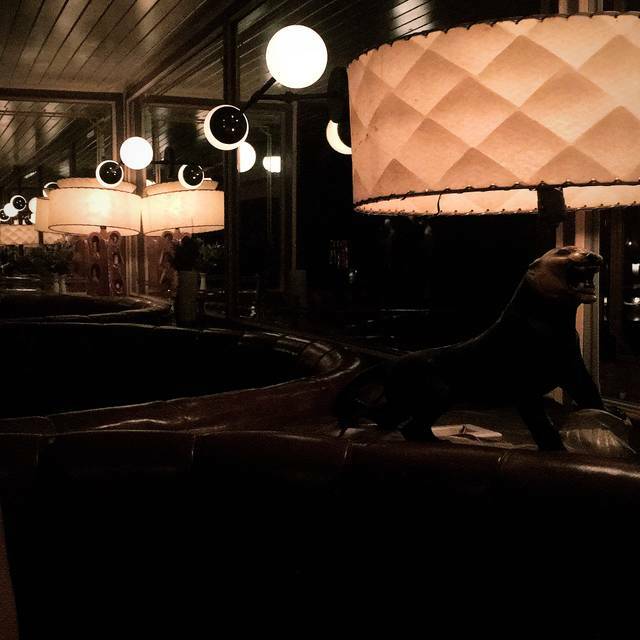 The ambiance and vibe were low key and suave. Loved the dimly lit atmosphere. The Midnight Oil fries are the best fries we’ve ever had! 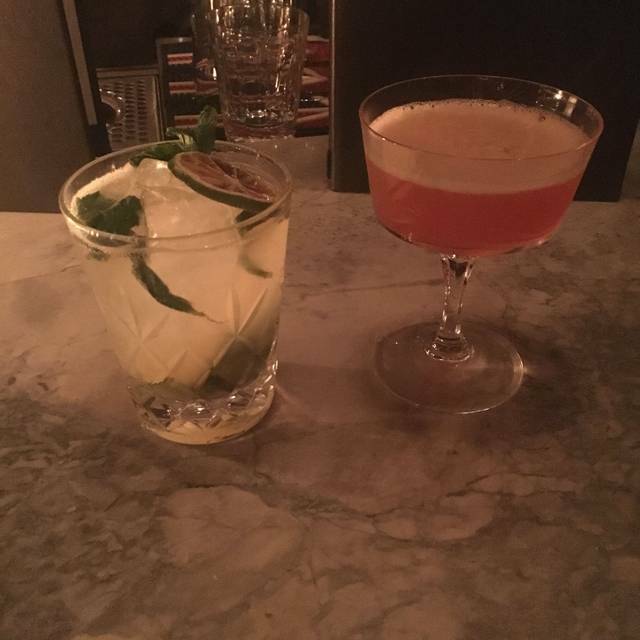 And the cocktails! <3 Our bartender was always there when we needed him but also had a certain discreetness about his service. Can’t wait to go back! Very cool spot, great service, brilliant ambience- we had an excellent time and were treated like royalty! Had a great time. Drinks were great and the atmosphere was enjoyable. Would recommend. Amazing atmosphere and cool bar. Expect drinks to be expensive.. Went there for a first date on a Tuesday night. Place was cosy and dark. Staff were friendly. Drinks were ok but I’m pretty picky with drinks. Had a small charcuterie board which wasn’t what I thought it would be. And pretty expensive for what they served. Introduced a good friend of mine to the cloak on Thursday night. Great experience as always, drinks were well mixed, food was excellent. The cloak is the place to unwind after a busy work week. Our server Shannon was excellent as always. Her food and drink suggestions were well received in addition to her accommodating personality. All the servers and staff at clock have never disappointed. A unique quality venue with quality people. 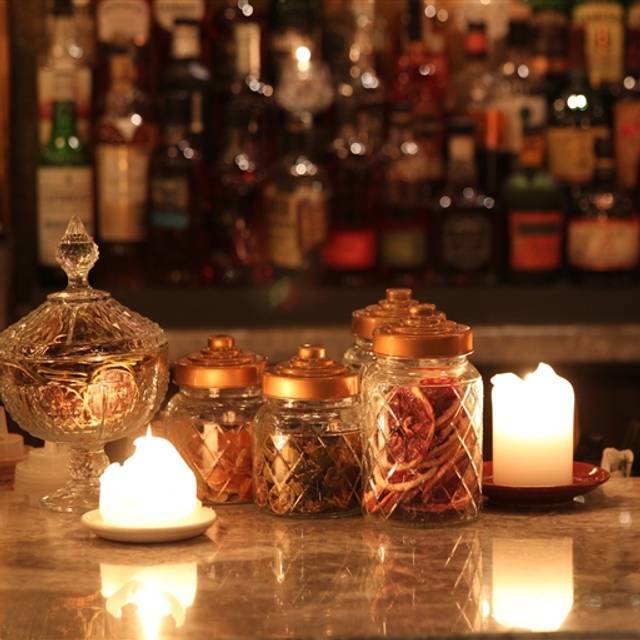 We went to the cloak bar for drinks on Thursday. I have never written a negative review before but Our waitress was rude and inattentive. We had to go up to the bar multiple times to ask to place our food order, ask to take a drink order, ask for more napkins etc. The table behind us was very loud and slapping the table. We didn’t complain and it was fine but we were speaking a bit loud she told us to “keep it down”. It’s a bar and we were not shouting. We Had a great time ... very cool atmosphere but the drinks took a long time. They were very tasty drinks but took over 20 mins to wait for them. We came here to celebrate my sis’s bachelorette party and it exceeded our expectations. The drinks were yummy and strong but the bartenders were actually really nice and personable. When we asked for a recommendation they actually gave us one instead of the dreaded “everything is good here” which isn’t a real answer. I would come here again and I’ve already recommended this place to my friend. 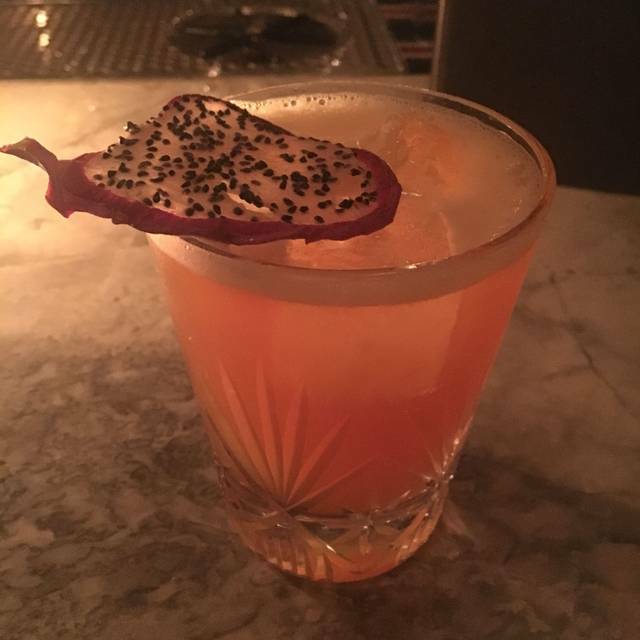 Our first experience here was wonderful; cool intimate vibe, some interesting cocktails, good food, and friendly service. Our second visit, however, was unfortunately very poor. We arrived early Friday evening when the bar was not yet very busy, and first ordered food for dinner, and then orders drinks a few minutes later. After about 45-mins we ordered another drink as we slowed our drinking to wait for food. Our new drinks arrived and our food had still not arrived (now about an hour after ordering). We were eventually told that the kitchen never got our order because their printer was broken but our food was on its way. We asked for some bread as we had been drinking on empty stomachs. It took another 15-mins before we were told the kitchen could only serve us bread when our food was ready. It was clear that even after acknowledging their technical difficulties, our very late food order was still not being prioritized. We told staff that we really need to eat dinner so if the food would take much longer to arrive, then we need to leave to get dinner elsewhere. Almost two hours into it we asked food again and were told that they cancelled our order because they thought we didn’t want to wait longer. We were comped two drinks and a small snack as apology but we really had trouble drinking more on empty stomachs. Then, when settling the bill, a food item that we never received was still on the bill. It took another 20-mins to resolve and pay before finally getting out of there. The staff tried to be friendly about it but continuously failed executing through the evening. We were really hoping to continue coming to this venue as it is close to our neighborhood but this extremely poor experience has ruined it. A great find, nicely hidden and exceptional service. Very few spots like the cloake. If you want to impress your date, that's the spot. If you want to impress your mates, that's the spot. If you just want a really good drink, that's the spot. The experience at Cloak is beyond exceptional, the only thing better is their staff. Shannon and Ray were fantastic and mix a great old fashioned. This place is definitely a spot for couples and not a group of work friends. Entrance wasn't speak-easy style. There was a host waiting outside at the front, guiding people inside. Other than that, great! It was my birthday party pre-drinking event. We had great time at the Cloak following a show. 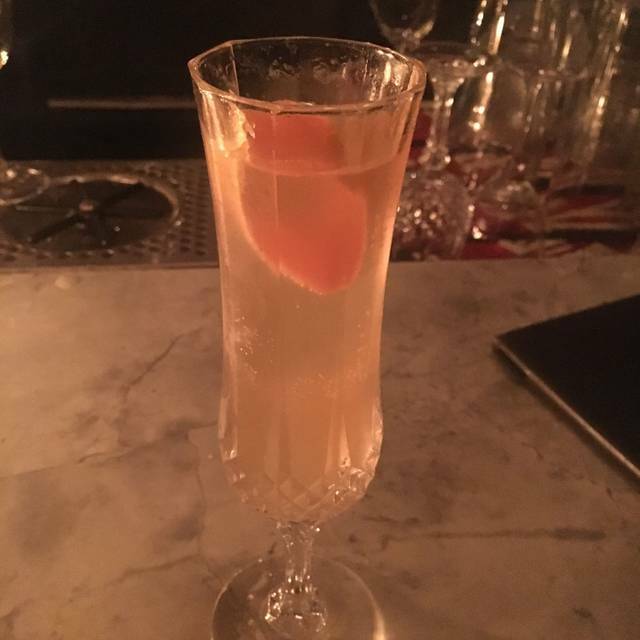 The cocktail I received after describing my preferences was exactly to my taste. The waiter was super cool and friendly and helpful and seemed genuinely happy to help us celebrate our special occasion. The bartender also provided table service and was eager to ensure our drinks were enjoyed. We ordered oysters, fries and fried cauliflower which were all really delicious. The cauliflower in particular was so unique and flavourful, I just wished there was more! The bar itself has a great laidback feel with comfortable lighting and volume and definitely felt like a hidden gem. Thanks so much, we'll be back!